A dispute between a local Cattlemen’s Association and a federal agency has been mitigated by students — more specifically, a summer youth work program called the Clearwater Basin Youth Conservation Corps. Contention between state and federal land management issues are nothing new in Idaho, with public lands covering over 80% of the state. “The issue with cattle trespassing on Corps of Engineers managed lands didn’t develop overnight, and it’s not going to be solved overnight,” says USACE Natural Resource Manager Paul Pence, explaining that the fence line between the two pieces of land divides cattle grazing land and recreational sites. Due to the broken fencing in certain areas, cows can wander through campsites, through habitat development areas, and down to the water’s edge. The primary boundary fences that serve as the source of contention between the USACE and the Cattlemen’s association were installed and maintained by the Corps until the year 2000. Budget cuts and reduction in labor force have limited recreation dollars for projects such as fencing upkeep. 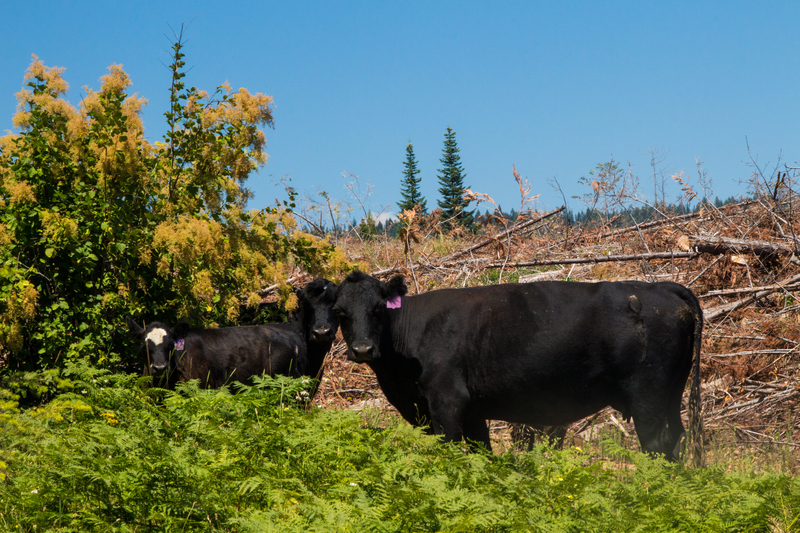 Grazing on Federal land requires a permit, and without one, these cows could be considered trespassing, causing their owners to be cited with tickets and fines. Idaho open range law [Idaho Code 25-2118] states that cows are permitted to roam, but Federal law requires a permit to graze on Federal lands. This point of contention is another example of how discrepancies form between government and the private sector. Despite the often contentious relationship between the Mason Butte Cattlemen’s Association and the USACE, both parties look for solutions. “Along comes YCC,” says Paul Pence. He details that at one of the Cattlemen’s Association meetings, he pitched the idea of having the Clearwater Basin Youth Conservation Corps (CBYCC) assist in rebuilding the fence line. 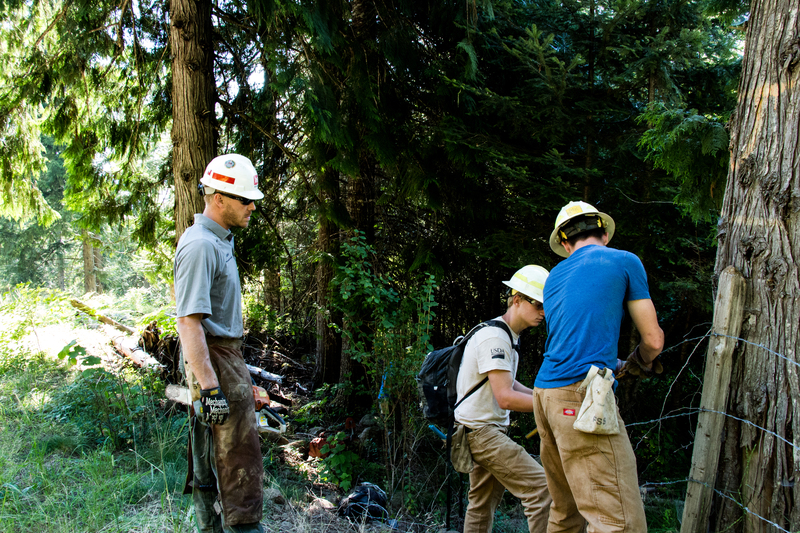 The CBYCC employs youth between the ages of 16 and 18 for eight weeks each summer in order to prepare North-Central Idaho youth for a career in natural resources. 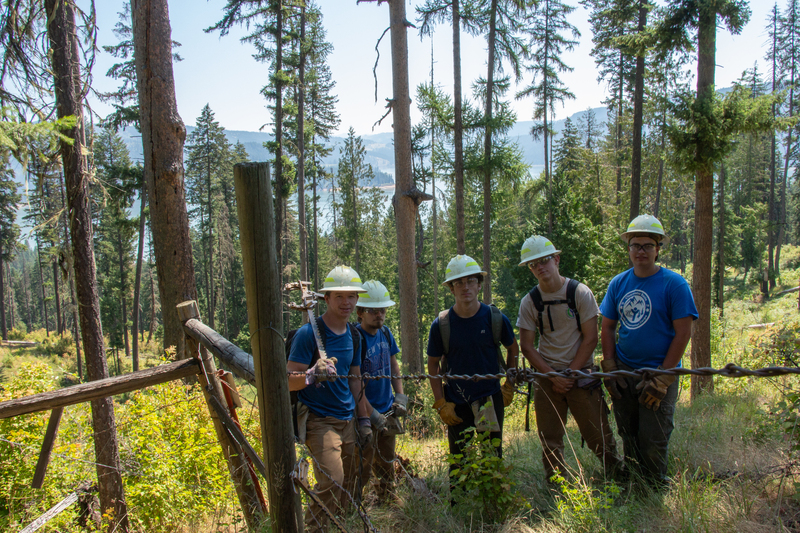 Students work on projects from trail maintenance to wildlife habitat restoration, and work with a variety of state and federal agencies, such as the U.S. Forest Service and the USACE. The Mason Butte Cattlemen’s Association sent ranchers and range riders out this past summer to teach the CBYCC students how to repair and rebuild fence. Of the 5.2 miles of fencing, about 2 miles that surround Elk Creek Meadows have been completed. The fencing project is slated to continue for the 2019 summer season. For more information about the Clearwater Basin Youth Conservation Corps, visit clearwaterbasincollaborative.org/cbycc and facebook.com/IdahoCBYCC.